Happy April friends! 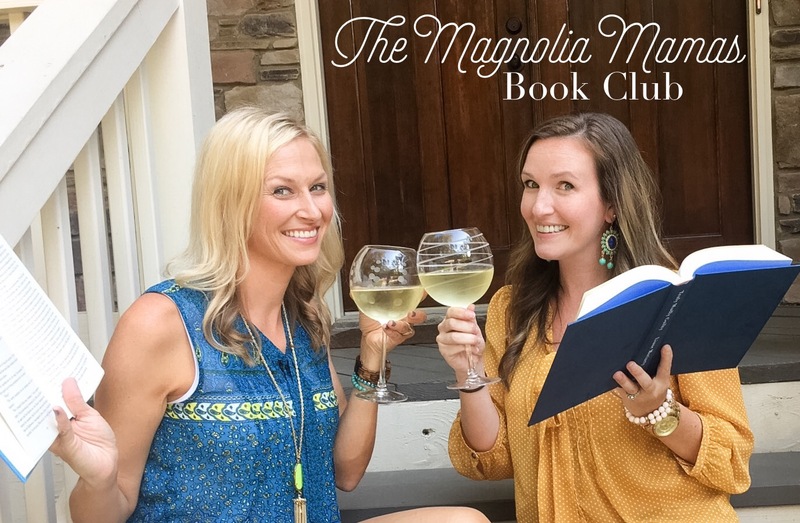 Today is Book Club day, and this week we've got all the reading vibes flowing through us because we're on Spring Break! Wahoo! So really it's reading vibes mixed with a little (or a lot) of tropical fruity drinks. We're both in and out of town all week and we have our Kindles, Audibles, and reading pile books on standby. Because this break means we're in the calm before the storm. The end of the school year storm. It always astonishes us at how jam packed this part of the school year is. We are cringing at our calendars in the upcoming months. So this week...this week we are soaking in all the break we can. And reading. And fruity drinks. We've got some good reads for you this month! One or two might be in contention for "favorite of the year". They were just that good! 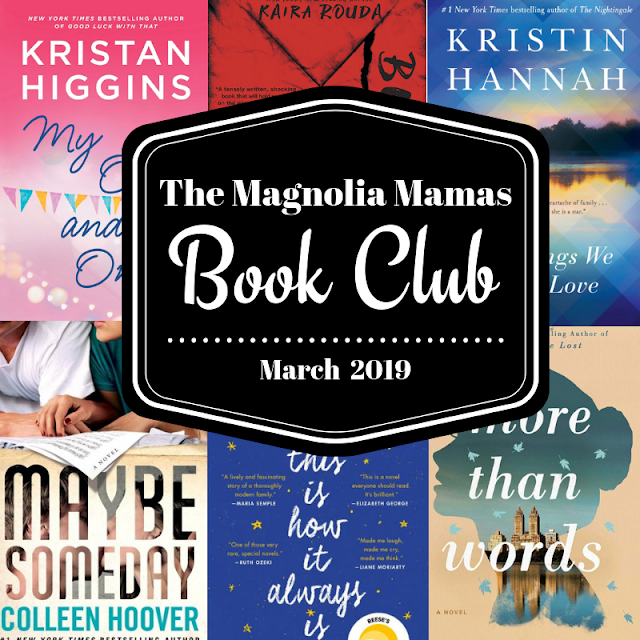 My first book this month was another Reese's Book Club book. I almost always love all the books she picks and this one was no different. 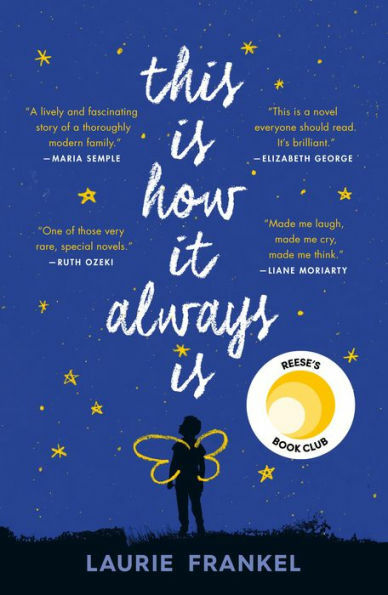 This Is How It Always Is by Laurie Frankel was SO good. It is about a family with 4 boys and when they have their 5th baby, another boy, they think they have this parenting thing down. Until that 5th little boy wants to wear a dress...and play with girl toys...and honestly believes he is a girl. The story follows this family as their youngest grows up and shows the difficult decisions the parents make along the way to help their child be true to themselves, but also be happy. This story was so eye opening to me and really gave me a greater understanding of decisions that some parents have to make. If you are a mom I think you could relate to this. Even if these parents make decisions you might not agree with, I think it shows the difficulty all parents have in trying to do what is best for their child. 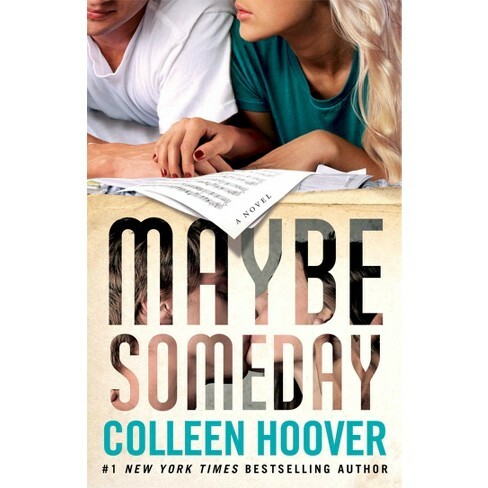 My next book from March was Maybe Someday by Colleen Hoover. Hoover never disappoints me, but I found this story was a little different than some of her others. Not as many "love scenes" in this one and it was really a sweet love story. A young 20-something girl finds out her boyfriend and best friend are sneaking around together behind her back. She finds a friend in a neighbor that, until this point, she has only known from afar because she likes to listen to him play the guitar across the courtyard where she lives. The story follows their friendship that develops into more than that and the struggles they both have wanting to be together, but knowing that the time isn't right for multiple reasons. I managed to knock out four books this month. Two were hard copies I dug out of my growing reading pile, and two were Audible "reads". All were so so good! 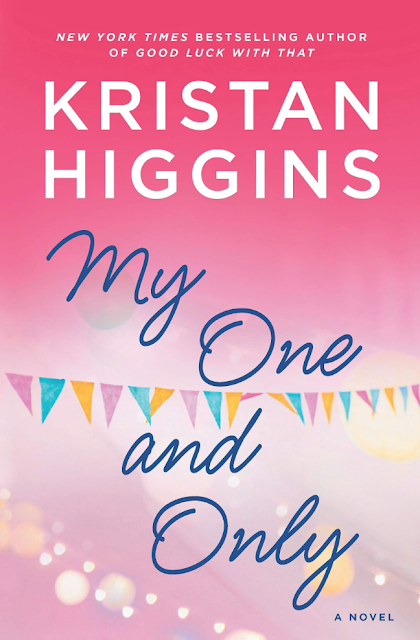 First up was My One and Only by Kristin Higgins. I feel like I keep sneaking in Higgins' books into my Book Club picks, but they are just so good. I love how she mixes in a meaningful message with a little bit of humor. My One and Only follows divorce attorney Harper James on her quest to settle down and get married to her long time boyfriend. However, the next wedding she attends isn't hers - it's her sister's. And her ex-husband is attending too. The story weaves together lost love, familial hurdles, and a laugh out loud cast of supporting characters. It was a super cute story (somewhat predictable), but a great read. 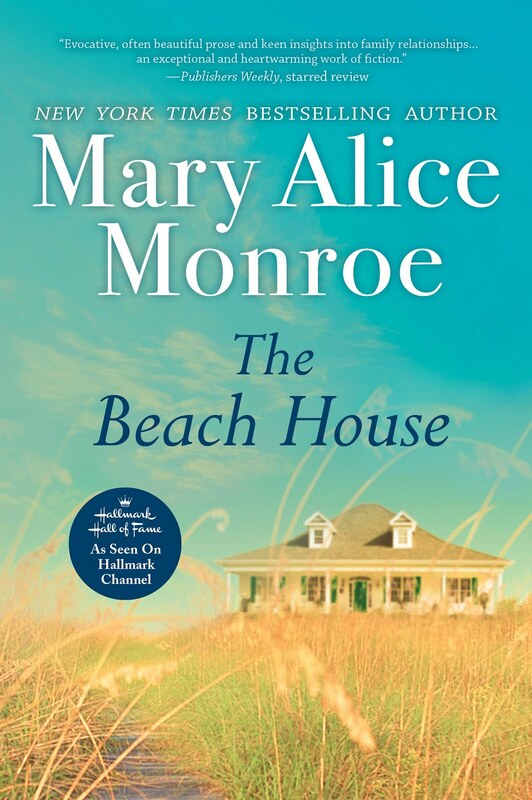 For those of you enjoying Spring Break with us, this would make for a great beach read! 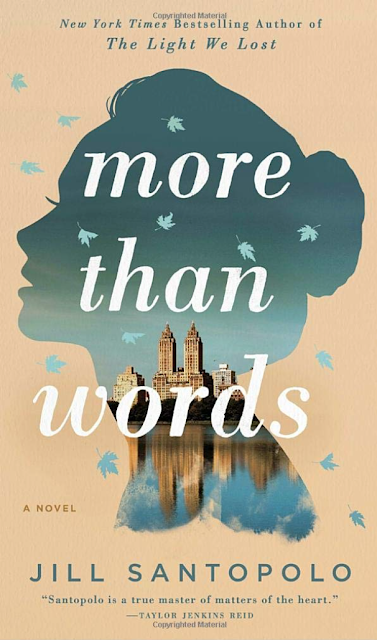 Second for the month was More Than Words by Jill Santopolo. Okay I remember reading The Light We Lost last year and remembered that I loved it. So when I saw the same author released a new book I quickly scooped it up. I ended up listening to this on Audible and loved that the author read it herself. I felt like then I was hearing the story the way she wanted it to be heard. This one totally got me. I'm not typically a crier and a number of times I was brought to tears. Carrie Beth and I had a meeting during the time I was listening to it and I was so wrapped up in the story I was getting teary eyed. I had to shut it off so I wouldn't ruin my make up and be a hot mess in front of the people we were meeting with. The story follows Nina Gregory who is the heiress to the famous luxury hotel chain Gregory Hotels. Raised by her father, and dating her childhood best friend - her inner circle is small and full of a lifetime of memories. Her whole life has been mapped out in front of her. Then her father dies, and she begins to unravel secrets that change her entire perspective. She's torn between taking the path that was laid out for her, or choosing to take a new path. There's heartbreak, glamour, a love triangle, and juicy secrets all mixed into one book. I loved it and its definitely one of my favorites of the year so far. After two romance books, I decided to pick up a book that's been on my nightstand forever. I think I picked The Best Day Ever sometime last year and couldn't quite get past the first few pages for some reason. I finally settled down with it, and while I wouldn't say it was my favorite book ever it was definitely a slightly different kind of psychological thriller than other ones I've read. This one is more of a "slower paced, make you think" kind of thriller than a "I can't sleep tonight" one. The most terrifying part of this book is that you could totally see something like this happening in real life - even the ending. 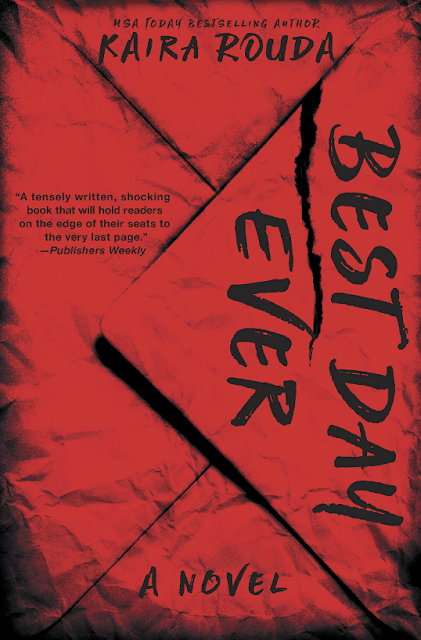 The novel follows Paul Strom as he plans "the best day ever" for his wife Mia. They finally get a weekend away from the stress of jobs and young children. On the surface they are the perfect couple with the perfect lives. As they drive to their lake house for the weekend tension becomes apparent between the couple and you quickly realize maybe their marriage isn't so perfect. Without giving too much away, there are some twists and turns in the book that keep you reading. The end kind of makes you go "huh?! ", but still wraps up nicely. I would say if you are looking for a thriller without that "edge of your seat" feeling - this one's for you. Last up for the month I just squeaked in. I finished it over the weekend and I loved it. Kristin Hannah's stories always give me all the feels. This is an older novel of hers that I somehow missed, but I'm so glad I stumbled upon it. The Things We Do for Love follows Angie DeSaria after a heartbreaking divorce. Post divorce she realizes she needs a change and moves back home to help her family re-build their father's restaurant. Angie hires high school student Lauren Ribido on a whim, and the two form a relationship they both learn they need in their lives. I love how this book gives a different take on motherhood and infertility. The story was beautifully written and I loved how it all came together in the end. 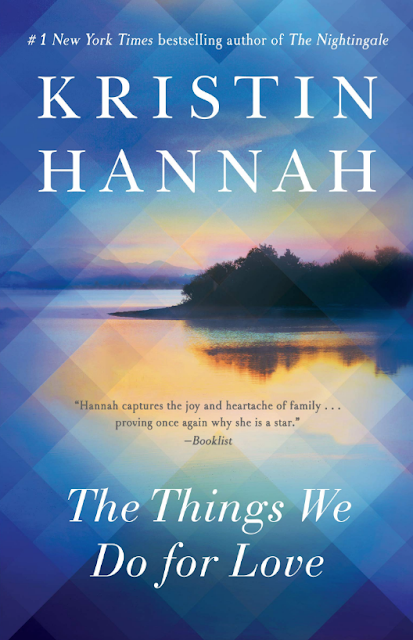 This one also made me teary a few times (as do most of Hannah's books), but I definitely recommend it if you like your love stories with a little more "meat" to them. I know they say you shouldn't judge a book by it's cover, but that is exactly what I did with this one. The Beach House by Mary Alice Monroe was picked because of it's cover and because of it's title. With us being on Spring Break that means summer is just around the corner! I'm so ready for warm weather and felt like this book would certainly get me ready! Okay Carrie Beth and I are on the same thought train this month because the first book I grabbed for April was a beach read. 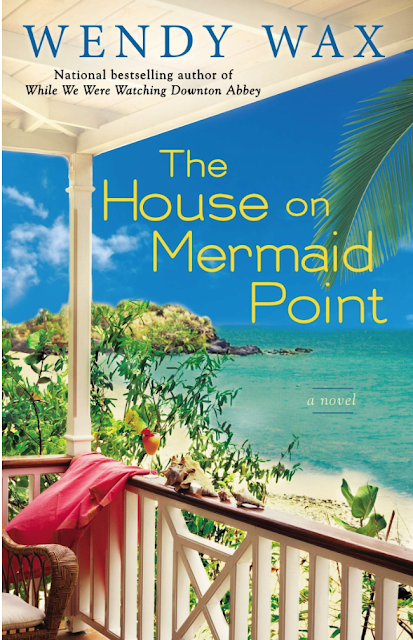 The House on Mermaid Point was actually a book that I picked up when we were on our Winter Break vacation to the Keys. A local book store we were browsing had stories based on various Keys, and I grabbed this one just by random. I'm a few chapters in and realized after the fact its third in a series. I will let you know if that matters or not in the end. But otherwise I'm so here for all the tropical blue water and fruity drink references. Anything we need to add to our reading lists this month? Follow along with us on Goodreads!